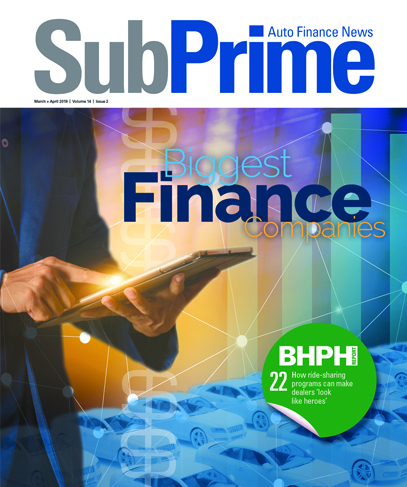 Subprime finance company Veros Credit has started its expansion strategy, making its first inroads in markets east of the Mississippi River in states such as North Carolina and Florida. Veros Credit now has marketing representatives in Raleigh and Durham, N.C., as well as Orlando, Fla., to go with new personnel in Dallas, Houston, Phoenix and Kansas City, Mo. Veros intends to expand further into Florida, Michigan, Minnesota, Indiana, Ohio, Oregon, Pennsylvania, Washington and Virginia in upcoming months with intentions of a nationwide presence by the end of 2015. “We’ve quickly noticed that Veros Credit has a viable niche in the marketplace to which dealerships are quickly responding,” Veros Credit president and chief executive officer Cyrus Bozorgi said. Veros Credit is a provider of auto financing solutions to consumers through a broad network of franchised and independent dealers. Veros specializes in the acquisition and servicing of near-prime and subprime retail vehicle installment contracts. And now its company footprint reaches even more markets. “We’ve been fortunate to find some great industry talent,” Veros Credit vice president of sales and marketing Kyle Dietrich said. “People are really buying into the culture and vision that we want to create. We have a competitive product that is based on a personal touch with our loan officers and funding team, and we have the flexibility to negotiate deals with our dealership partners. Our service focused process has been a welcomed offering in the dealer community,” Dietrich went on to say. For more information about Veros Credit, visit www.veroscredit.com.